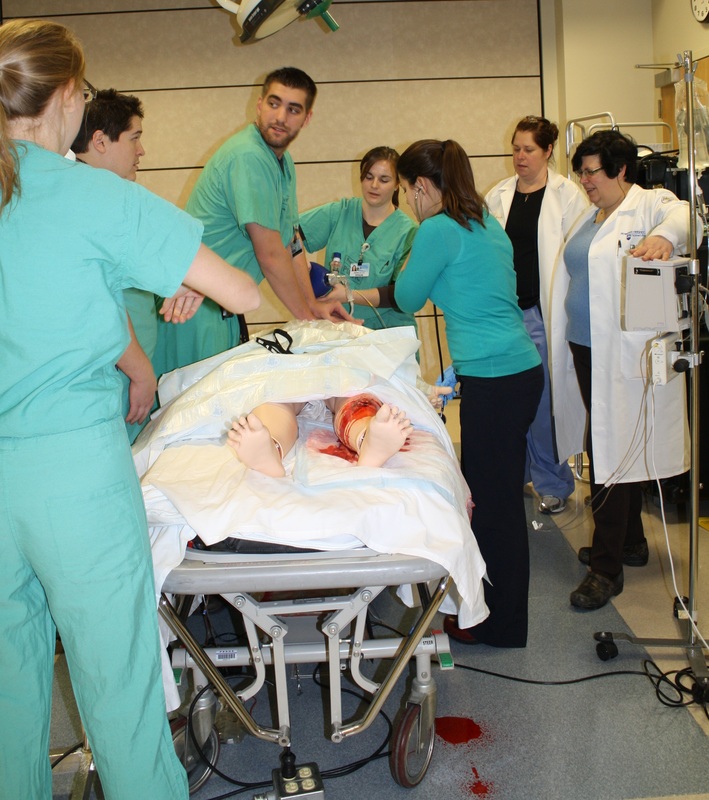 The Penn State Hershey Clinical Simulation Center supports the College of Medicine, the Milton S. Hershey Medical Center, and other educational programs in including the Penn State College of Nursing. The Center prides itself on using the latest equipment and methodologies into its curricula, as well as develop, test, and validate new educational tools. Surgical Simulation Director Dr. Mary Catherine Santos runs a trauma resuscitation in the Clinical Simulation Center. 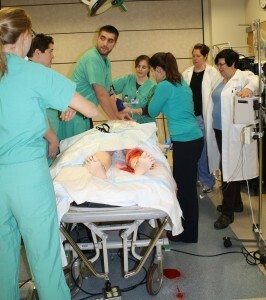 The Simulation Development and Cognitive Science Laboratory at Penn State Milton S. Hershey Medical Center was founded in 1992, based on the belief that health care workers should practice in a simulated environment before performing patient care functions whenever possible. Initially supported by the Departments of Anesthesia, Nursing, and Surgery as well as industry sponsors and individual donations, it quickly developed into a nationally and internationally recognized center of excellence for medical education. Under the leadership of Dr. Bosseau Murray (Anesthesia), Dr. Thomas Krummel (Surgery), and Dr. Donna Reck (Nursing,) the center was one of the first in the country to adopt simulation technology as a component of the educational curriculum. In July 2007 the Center was renamed the Penn State Milton S. Hershey Simulation Center and its administration transferred to the Office of Educational Affairs within the College of Medicine. Support from both the hospital and the medical school expanded in recognition of the growing role of the Clinical Simulation Center in health care education. This is also reflected in the fact that substantial financial support for and structural expansion of the Center is a major objective in the strategic plan for the institution. The Penn State Hershey Clinical Simulation Center moved to new 9,500 square foot space on January 20, 2010.